Every year, more and more moms are getting connected and their mobile use is skyrocketing. These tech savvy moms want their mobile devices to be equipped with the best apps to help them save time, save money and make their lives safer and easier. For Mother’s Day, we compiled a list of our 12 favorite apps for iPhone and iPad and we’re sharing these apps with our readers to help them get more from their mobile devices. These apps are paid, freemium and free. Click on the app’s link to learn more about the pricing. Evernote is for note taking and it’s considered a best-of-class app. It’s a “freemium” application, which means you can use it for free and choose to be charged for upgrades. 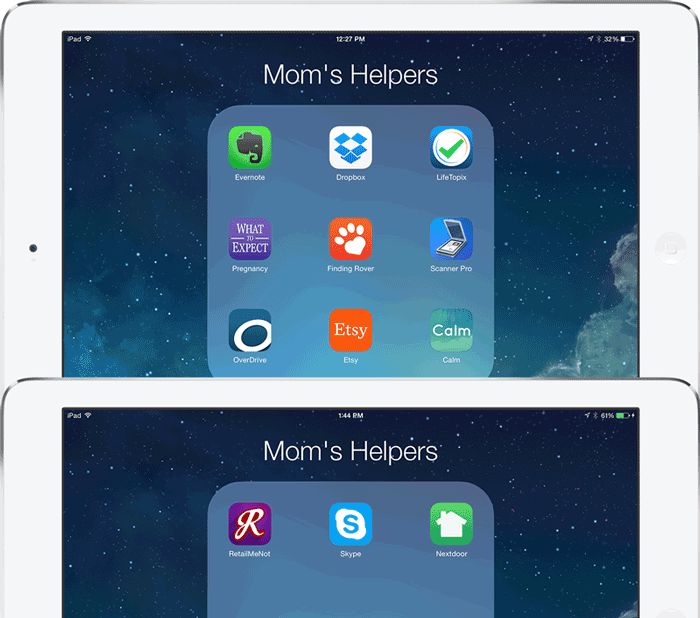 Why is Evernote great for moms? Moms are busy people and can’t keep everything inside their heads. With Evernote, it’s super easy to take notes, organize things found on the web and make checklists. With tagging, moms can easily find the information that they’ve saved in Evernote. I like using the Evernote Web Clipper. 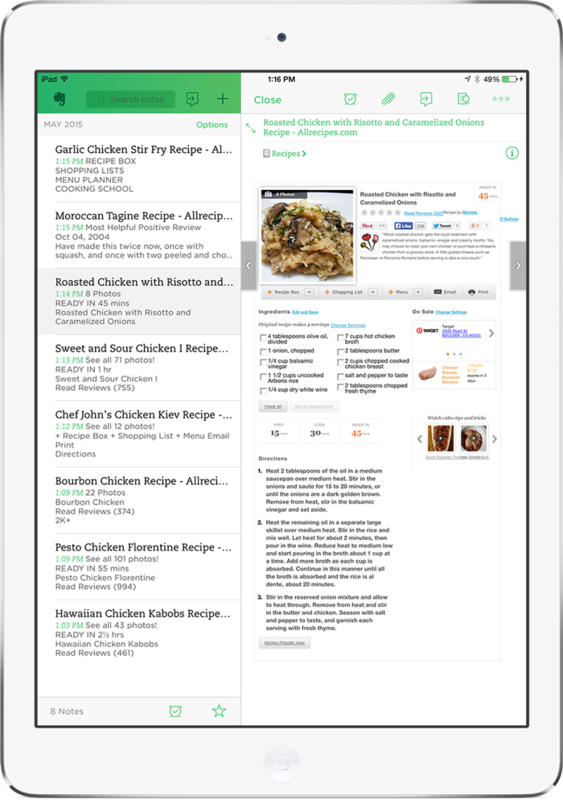 It allows moms to “clip” information from the web and save articles, recipes and more in Evernote. When I first started using Dropbox years ago, it was simply a great way to share big files with co-workers, family and friends. Dropbox has evolved over the years and it has become extremely popular for file storage in the Cloud. 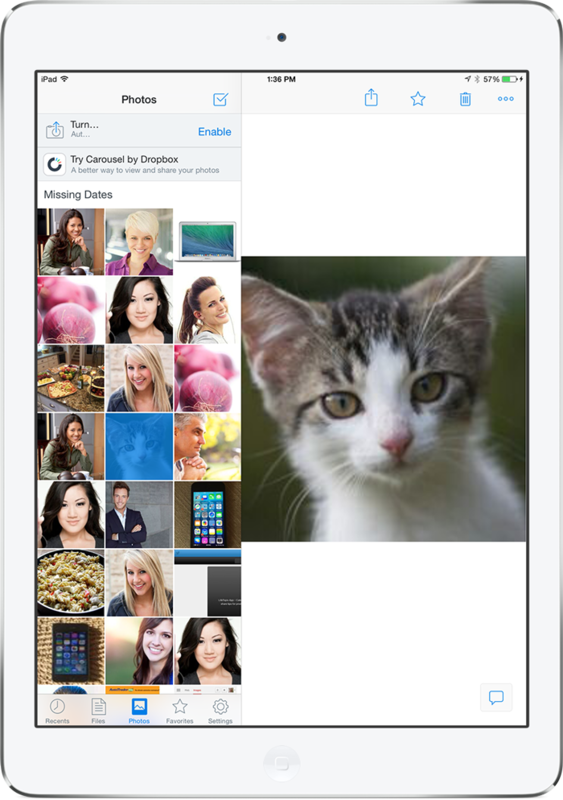 With Dropbox, moms can store their photos and documents and easily share them with others. 2 GB of space is available for free and more can be obtained with a fee or through other actions, such as sharing. Why is Dropbox great for moms? It’s an excellent way to back up and share family photos, receipts and other important documents. Moms can scan report cards, homework, kids artwork, etc. and save these items forever in a safe and secure place. No worries about hardware crashes. It also helps to keep the house tidy eliminating paper clutter. LifeTopix is an all-one-organizer for work and life. Many use it for life management or small business management. It’s excellent for getting and staying organized. 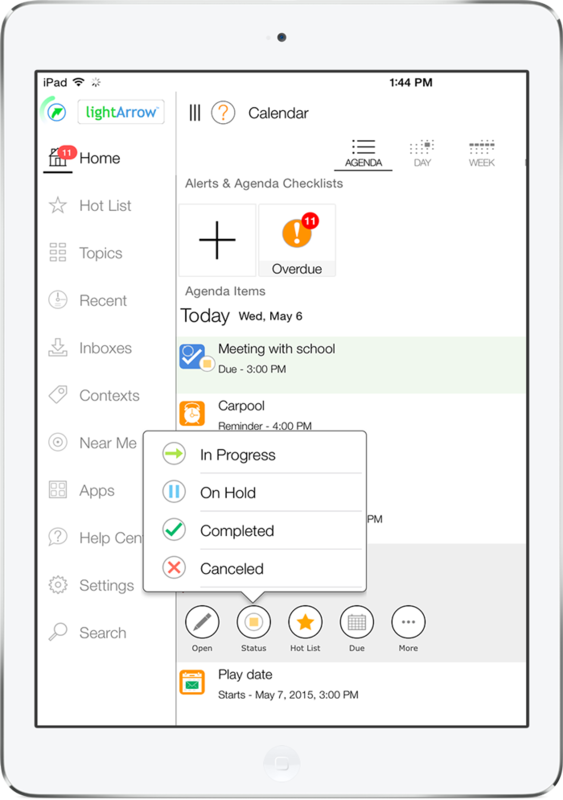 It’s one of the best personal organization apps for families and anyone else who wants to boost their productivity. Why is LifeTopix great for moms? It’s like having a personal assistant that organizes everything. Moms can organize travel, projects and tasks, events, finances, health and fitness, home assets, bookmarks, photos and shopping — all in one place, which prevents the need to jump from app to app. The Agenda view, shown below, is super handy for knowing what’s coming up today, tomorrow and in the near future at a glance. I recently discovered Scanner Pro and wow I was impressed. 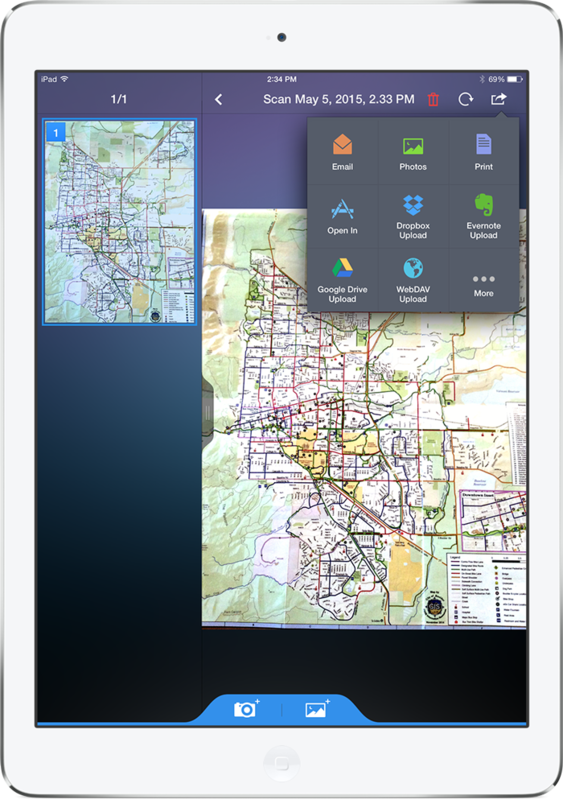 Scanner Pro essentially turns your iPad into a scanner, saving you loads of time. Why is Scanner Pro great for moms? As I mentioned earlier, Dropbox is an excellent way to keep the house tidy by storing documents. With Scanner Pro, moms can easily scan all types of documents, save them in a variety of sizes (A4, letter, legal, business card, etc. ), and upload these documents directly to a variety of other apps, including Dropbox and Evernote. Moms can also open these scanned documents in LifeTopix allowing them to associate the documents with projects, events and other LifeTopix items. In the example below, I’ve scanned a bike map which I can access directly from LifeTopix if I get lost while cycling — no need to carry a physical map in my bike pouch. Just about everyone who’s expecting or who’s had a baby has heard of the famous book “What to Expect When You’re Expecting.” This app is based on the famous book. It’s basically a roadmap for your pregnancy on iPhone, iPad, and Apple Watch. Why is “What to Expect” great for moms? 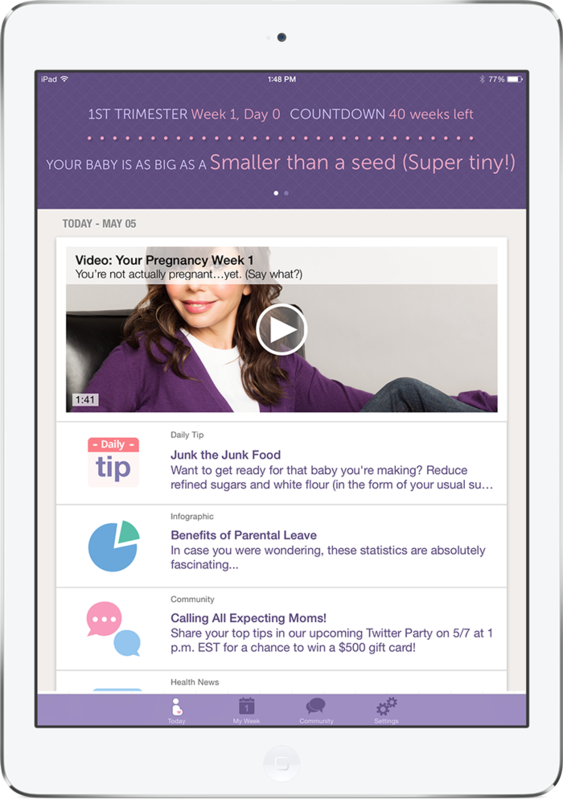 This app is especially valuable for first time moms. It offers practical advice, tips, articles, videos and message boards. It also helps moms communicate information with their spouse or partner, which is fun and helpful during pregnancy. 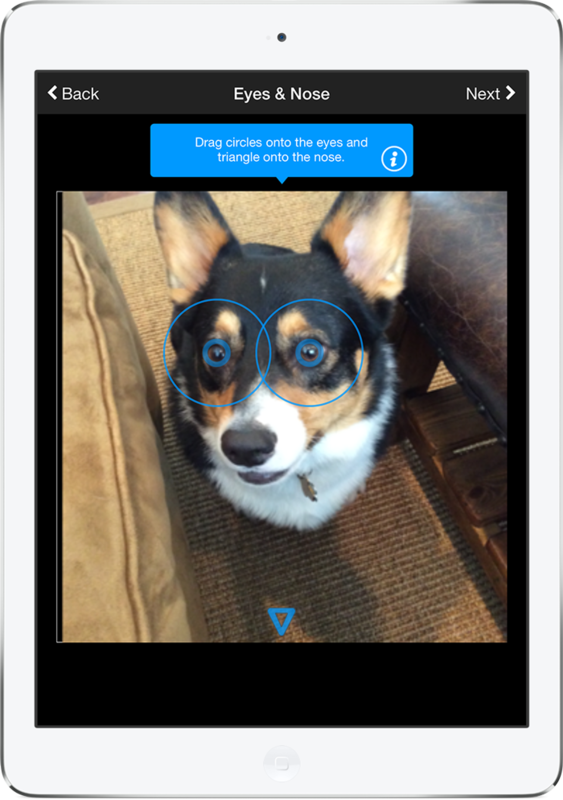 Finding Rover uses a new facial recognition technology to make finding dogs easy through a community of users. For example, you take a photo of your pet and upload it to the app. Someone finds your beloved pooch and snaps a photo. Voila! Your pup’s face is matched and found! And did I mention the app is free? Why is “Finding Rover” great for moms? Every parent knows that losing a beloved pet is heartbreaking for the entire family. Fortunately Finding Rover has come to the rescue. 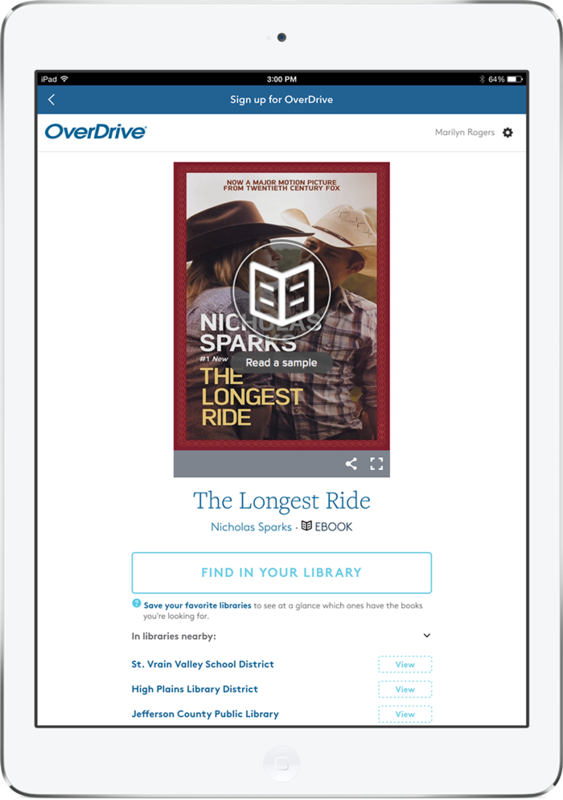 As a leading distributor of eBooks, OverDrive offers eBooks, audiobooks and streaming video from local libraries. In fact, there’s a network of over 30,000 libraries worldwide that offers titles from OverDrive. Why is OverDrive great for moms? Many moms like to relax with a good book, but it’s hard to find time to get to the library. In this situation, OverDrive is a perfect solution. Also, everyone knows that reading is the cornerstone of learning. OverDrive offers many titles for kids and it’s a great way to quickly introduce new books to inquisitive children. Etsy is a new way to shop. Everything found on Etsy is created or curated by people running independent businesses. Essentially, if you want to find something different and unique, Etsy is the place to find it. Why is Etsy great for moms? I think most moms would agree that they love shopping on Etsy because of the extraordinary things they can find. It also allows them to support independent businesses. And moms with an entrepreneurial spirit can create their own businesses while taking care of kids at home. In fact, Fast Company reported that Alicia Shaffer’s business named ThreeBirdNest makes $80,000 monthly! 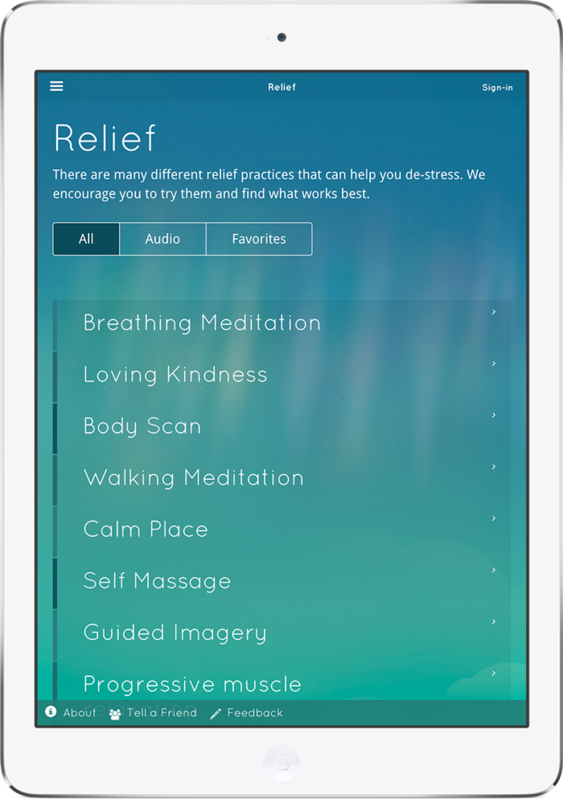 Calm is an app for meditation, sleep, relaxation and focus. It helps users learn mindfulness meditation and includes seven guided meditation sessions from 2 to 30 minutes. Why is the Calm app great for moms? Moms live in a busy world and they don’t have a lot of time to relax and focus on the present moment. When stress takes over, it can take a toll on physical health. Meditation can improve sleep, treat heart issues, relieve chronic pain, lower blood pressure and improve insulin resistance. RetailMeNot is an app for saving money and who doesn’t like saving money? This app provides deals (online and nearby) and allows its users to view these deals by category. 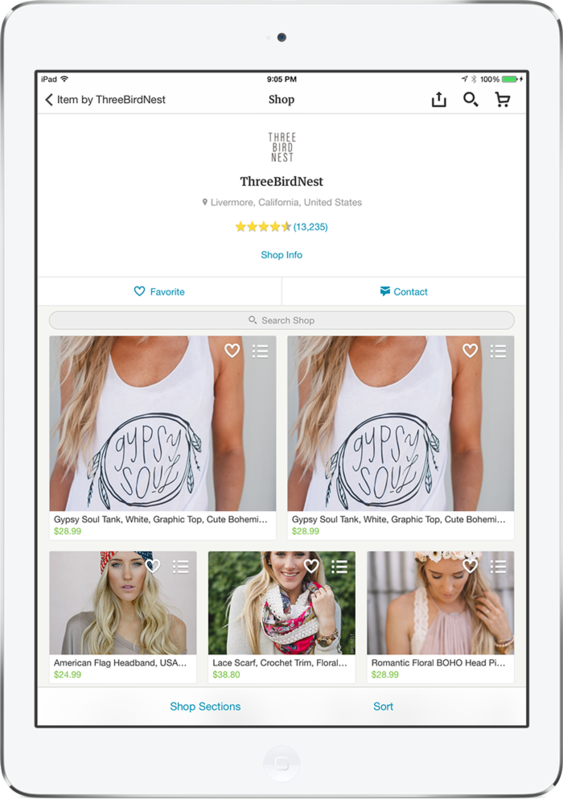 “Trending” deals are also provided so users can find the most popular discounts. Why is RetailMeNot great for moms? 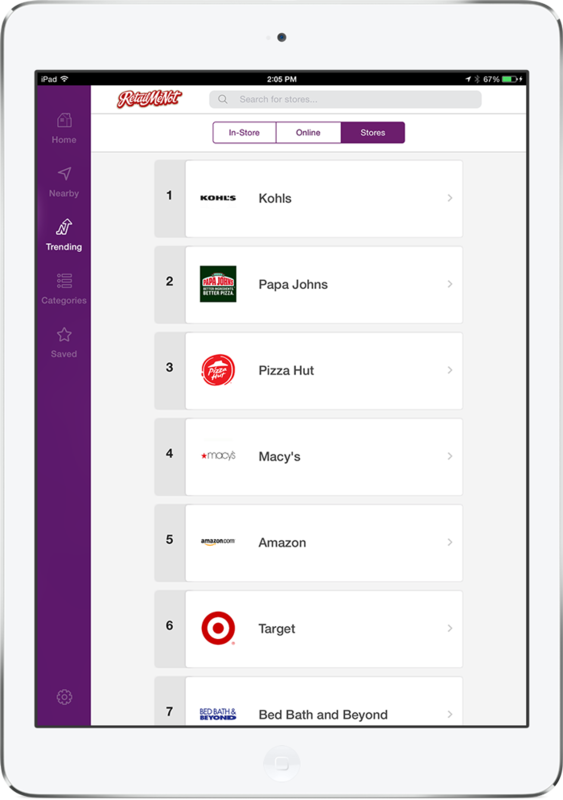 It’s an excellent app for saving money and no coupon clipping is required. Moms can just show the retail clerk the barcode on their iPhone or iPad and be on their way! 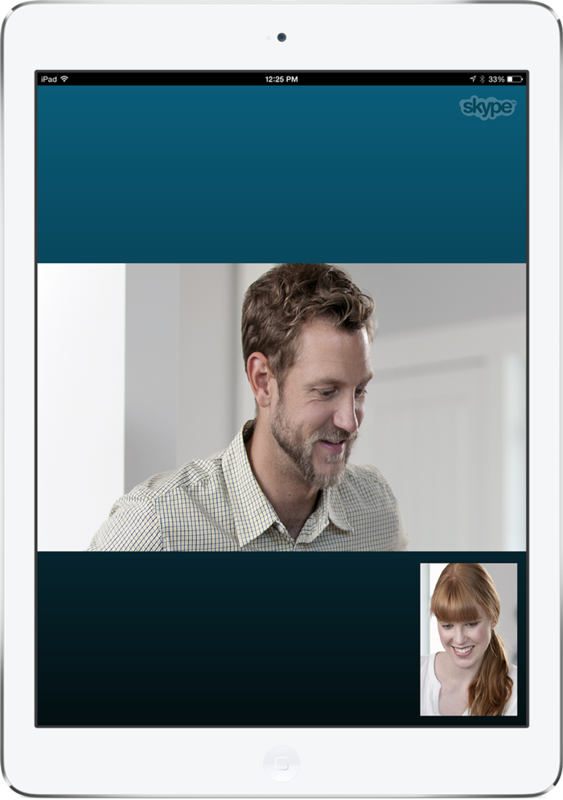 Skype is a service that features video calling, voice calling, instant messaging and file sharing. It’s a Microsoft product that was purchased from Ebay in 2011. Skype is similar to FaceTime and Google Hangouts, but it provides some advantages for those who want to video or voice chat with people who use a variety of devices and software. For example, with Hangouts, users are required to set up Google + accounts. With FaceTime, users are required to own Apple devices. Consequently, if you want to video chat with Grandma in Poughkeepsie who’s still using Windows 7 and isn’t keen on social networks, you’re in luck if you’re using Skype. Why is Skype great for moms? Nothing replaces face-to-face communication, but video chatting is the next best thing. These days, many families are spread around the country and even around the world. If you can’t be with your mom this Mother’s Day, consider helping her set up Skype on her computer or smartphone. This way, you can have video chats regularly — not matter what technology she’s using. 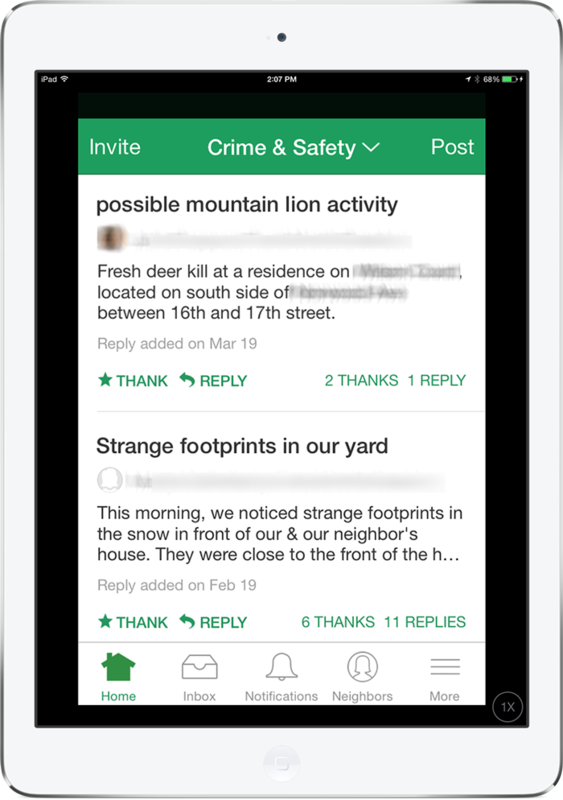 NextDoor is a free private social network for neighborhoods. According to their website, over 60,000 neighborhoods across the U.S. are now using NextDoor. When you sign up and open the NextDoor app, you’re presented with a variety of happenings in your neighborhood. It provides classifieds, crime alerts, lost and found and general information such as social events, traffic alerts, HOA meetings and news around your city. Why is NextDoor great for moms? These days, moms are so busy it’s challenging to stay in the loop, especially if they work outside the home. NextDoor is it has become the new “Neighborhood Watch.” If anything suspicious or unusual is happening, parents know instantly through the optional notifications. 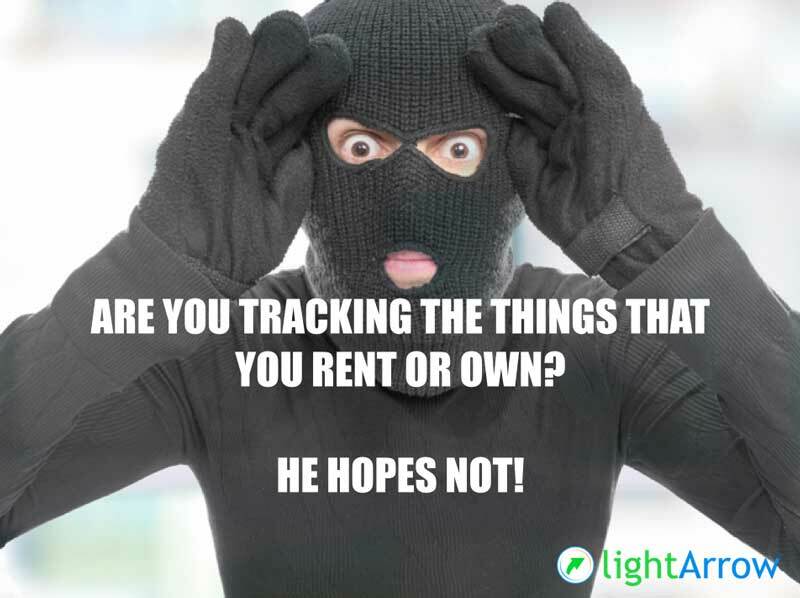 It’s also a great way to sell, trade and purchase used items — it feels much more safe than using Craiglist. We love sharing and reading about useful apps. Please share your favorites in the comments below. Thanks! 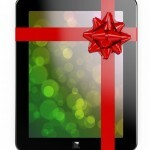 The holidays are right around the corner and as you know several of your family members, friends, and colleagues will be receiving new iPhones or iPads as gifts. If you want to send something special to your tech-loving friends and family members, apps are an excellent choice. Everyone knows that Apple devices are much more fun and useful when you load apps and games from the Apple App Store. You might be new to iOS 7, which is the latest mobile operating system for iPhone and iPad. If so, we provided this short tutorial that describes how to send apps as gifts in iOS 7.